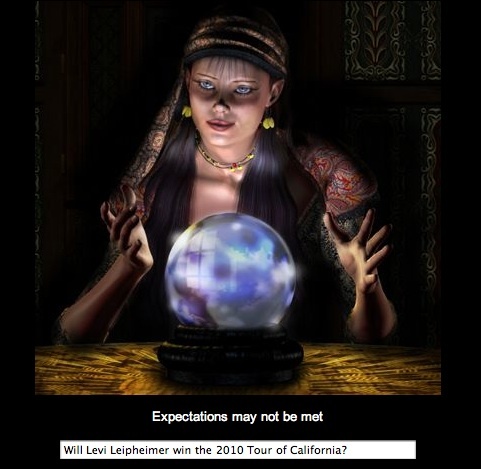 Leipheimer on Tour of California: “I don’t have a crystal ball.” Uh, we do. This is where Twisted Spoke comes to the rescue — because we have six crystal balls — which give us the definitive answer on how Leipheimer, a three time winner, will fare in the Cali tour that kicks off May 16th. A ball with better news. 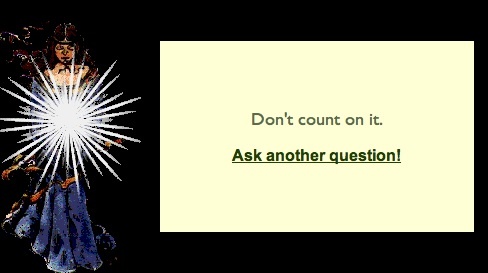 At the horoscopes and astrology site, the Leipheimer query meet with a generally positive response. “It will happen soon.” Vague but reassuming for the Radio Shack stage racer with the shiny head. However, it was bad news for the Santa Rosa rider from the crystal ball over at the Portrait Corner. “Don’t count on it” was the gloomy assessment. 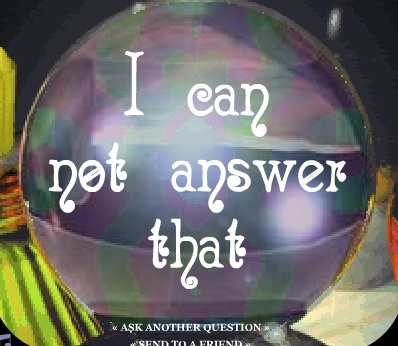 The odds looked equally bleak at e-tarocchi.com where the gypsy woman and her glowing bowling ball said “expectations may not be met.” Sounds like a deal breaker to us –why bother even showing up when the situation is that psychically hopeless. 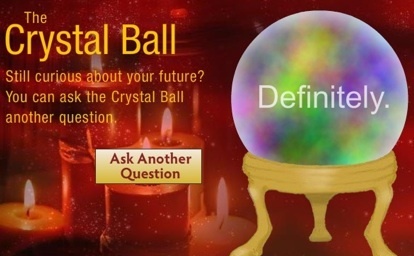 We had to respect the honesty of the crystal ball at onlinecrystalball which took a long minute to answer. The ball apparently ran all the variables and hypothetical situations and came back with “I can not answer that yet.” We plan to check with that ball in a few months because we appreciate the ball feeling that its powers were not up to the task of predicting a ProTour race. Then we asked the crystal ball oracle at Grandpasgeneral and the mystic oracle gave the immediate thumbs down on poor Levi: “The mystic says no.” Whoa, we thought Phil Liggett was the mystic. Too often we put our faith in so-called experts, prognosticators who lean on logic and reason and the smoke-screen of science. Yet cycling is a profound mystery that opens us to the other doors of perception. The magical universe beyond cycling journalists and those who grovel before fact and numerical data. We seek the spiritual channel to the other world that reveals all possibility. In other words, we have Levi running about 50-50 on the repeat. « The Belgian sheik strikes. Boonen takes stage three of Tour of Qatar.